The successful lasing at the SLAC National Accelerator Laboratory of the Linear Coherent Light Source (LCLS), the first X-ray free-electron laser (X-ray FEL), in the wavelength range 1.5 to 15 Å, pulse duration of 60 to few femtoseconds, number of coherent photons per pulse from 1013 to 1011, is a landmark event in the development of coherent electromagnetic radiation sources. Until now electrons traversing an undulator magnet in a synchrotron radiation storage ring provided the best X-ray sources. The LCLS has set a new standard, with a peak X-ray brightness higher by ten orders of magnitudes and pulse duration shorter by three orders of magnitudes. LCLS opens a new window in the exploration of matter at the atomic and molecular scales of length and time. Taking a motion picture of chemical processes in a few femtoseconds or less, unraveling the structure and dynamics of complex molecular systems, like proteins, are some of the exciting experiments made possible by LCLS and the other X-ray FELs now being built in Europe and Asia. 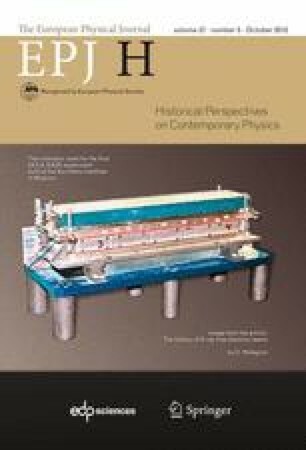 In this paper, we describe the history of the many theoretical, experimental and technological discoveries and innovations, starting from the 1960s and 1970s, leading to the development of LCLS.